Viral infections such as influenza (or flu) can cause serious illnesses and even death to thousands of people every year. The US Centers for Diseases Control and Prevention reports that in the last three decades, deaths in the US reached up to about 49,000 during the worst flu season. Although the flu can cause mild symptoms such as fever, headaches, cough and sore throat, which may go away after a few days with home treatment, some people experience complications from the disease. These complications may include dehydration, pneumonia, or worsening of other existing conditions such as asthma or diabetes. People who get these complications often need hospitalization or long-term medical care, and death may be a risk if their bodies are not able to fight the infection. Young children, elderly people, and those with decreased immune function are most susceptible to viral infection and its complications. Aside from the flu, there are many other viral infections that affect the population. Measles, chicken pox, and the common cold are just some of the infections that affect us. Vaccinations are a typical way of combatting these viral infections. They consist of administering a foreign material (antigen) to the body to stimulate the immune system into developing its defensive system. This occurs by activating white blood cells to kill the antigen or by producing antibodies to fight the infection. However, vaccines, just like any drug, have their own side effects. Doctors say that these side effects are often mild, consisting of the reddening or irritation of the skin, but in recent years, more serious adverse reactions have been linked to vaccinations. These include severe anaphylactic (allergic) reactions, autism in children, and the Guillain Barré Syndrome. Although these are relatively rare, many people are now thinking of turning to more natural means to develop immunity towards common illnesses as part of their daily lives. Recent studies show that bovine colostrum may be a better alternative to vaccinations in the prevention of infectious diseases. The use of MIP Colostrum as prophylaxis against infection from viruses and bacteria, is based on the findings that it contains a lot of powerful antibodies. It is a yellowish, thick fluid that is produced by mothers before true milk is produced and it contains proteins, fats, carbohydrates, vitamins, minerals, and growth factors, in addition to the protein antibodies (immunoglobulins) that fight antigens such as H. influenza. Antibody levels found in colostrum can be a hundred times higher than those found in cow’s milk. One study published in Clinical and Applied Thrombosis/Hemostasis, involving 144 healthy adults, showed that after three months of follow-up, the incidence of flu infection was least among participants who received colostrum daily, compared to those who received vaccination only and those who received both vaccine and colostrum. In addition, among the participants who were infected with flu, the duration of symptoms was significantly shorter among those who received colostrum compared to other participants. The second part of the research study showed that in high-risk patients who have pre-existing conditions, fewer participants experienced severe flu infection and its complications after receiving colostrum compared to those who received flu vaccine alone or a combination of vaccine and colostrum. Another study published in Biomedical Research suggests that oral supplementation with bovine colostrum can enhance immune response in adolescent boys. The study compared the effects on the production of gamma-interferon (IFN-γ), a special protein (cytokine) that has immunoregulatory and anti-viral effects, on young boys who received either colostrum or skim milk for six weeks. The results showed that bovine colostrum significantly increased the amount of IFN-γ in the blood of boys who regularly took colostrum. Many experts believe that bovine colostrum supplementation can provide effective protection against viral infections, and has the advantage over vaccinations in that it is less costly and has fewer side effects. 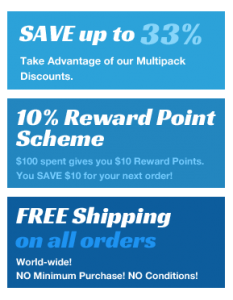 Furthermore, since the effectiveness of vaccinations may vary with the virulence and antigenic properties of the viruses, as well as the limited ability of some individuals to develop immunity, the immune system-enhancing effects of MIP bovine colostrum is important and vastly beneficial. Research shows that bovine colostrum helps prevent infection and many conditions involving immune deficiency and inflammation. MIP Colostrum has been found to contain biological components such as leukocytes (white blood cells), lysozyme, lactoferrin, and immunoglobulins such as IgA, IgE, IgD, IgM, and IgG, which fight against viruses, bacteria, and yeast. It also has components like lymphokines, cytokines, and proline-rich polypeptides, which initiate and regulate the immune system response. The amount of active biological components in bovine colostrum is much higher than that found in human colostrum, and can provide more effective protection against a number of diseases. Although there is still no total cure for the common cold, studies show that it can reduce the incidence of symptoms of infection in the upper respiratory tract, including cough, runny nose and sneezing. MIP Colostrum not only boosts immune system function, but it also regulates an over-active immune system, which is responsible for allergies and autoimmune diseases. It helps reduce inflammation, heal injury and promote repair in inflammatory conditions such as colitis, chronic diarrhea, and arthritis. Since MIP Colostrum is more of a food supplement rather than a drug, it can be safely used regularly to enhance not only the immune system but also one’s nutritional status. Cesarone MR, Belcaro G, Di Renzo A, et al. Prevention of Influenza Episodes With Colostrum Compared With Vaccination in Healthy and High-Risk Cardiovascular Subjects:The Epidemiologic Study in San Valentino. Clin Appl Thromb Hemost April 2007 vol. 13 no. 2 130-136. Appukutty M, Radhakrishnan AK, Ramasamy K, et al. Modulation of interferon gamma response through orally administeredbovine colostrum in active adolescent boys. Biomedical Research 2011; 22 (1): 18-22. 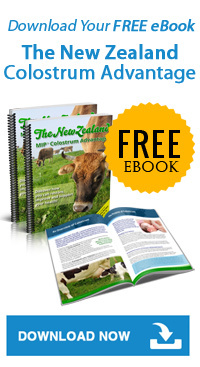 Join thousands of satisfied customers and order your 100% Pure New Zealand Colostrum here. MIP Colostrum is 100% pure New Zealand Colostrum from healthy grass fed cows. Our colostrum is optimized for bio-availability and our high quality colostrum powder and colostrum capsules bring you fast results. Copyright © 2017 MIP Colostrum. All rights reserved.